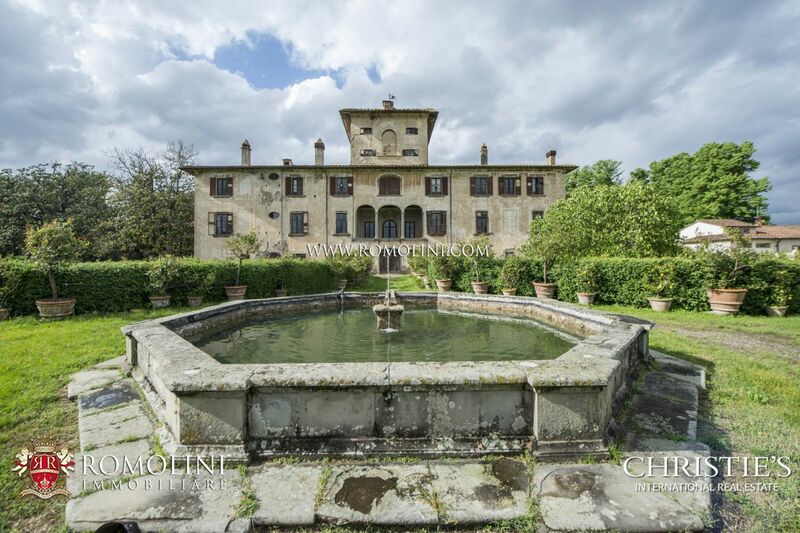 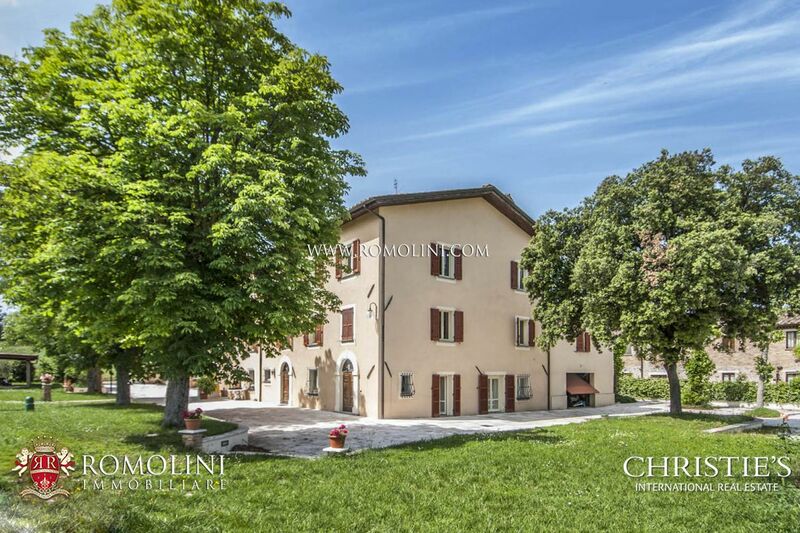 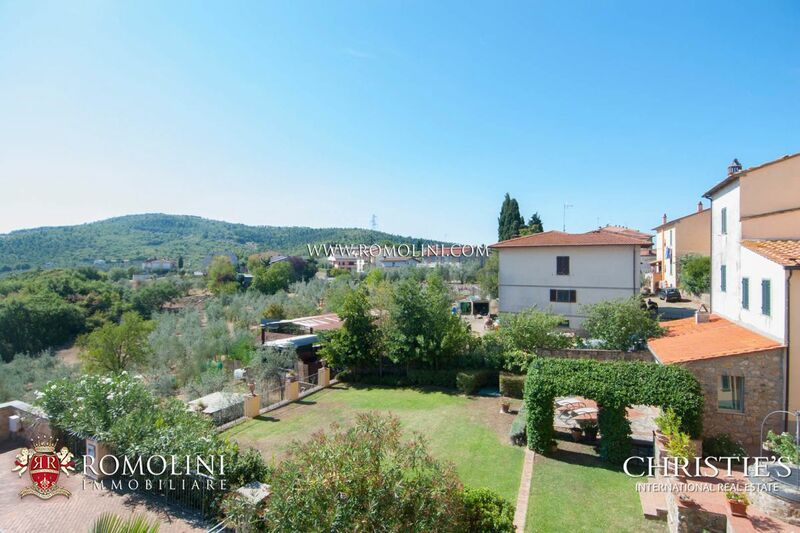 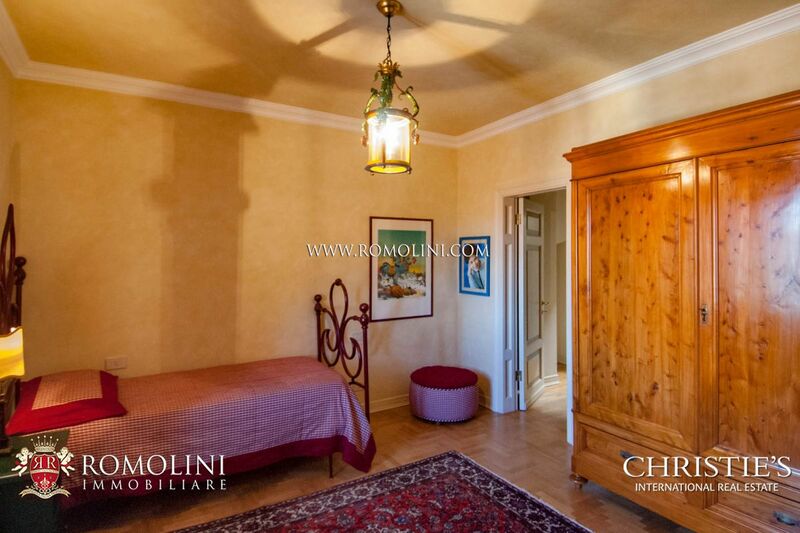 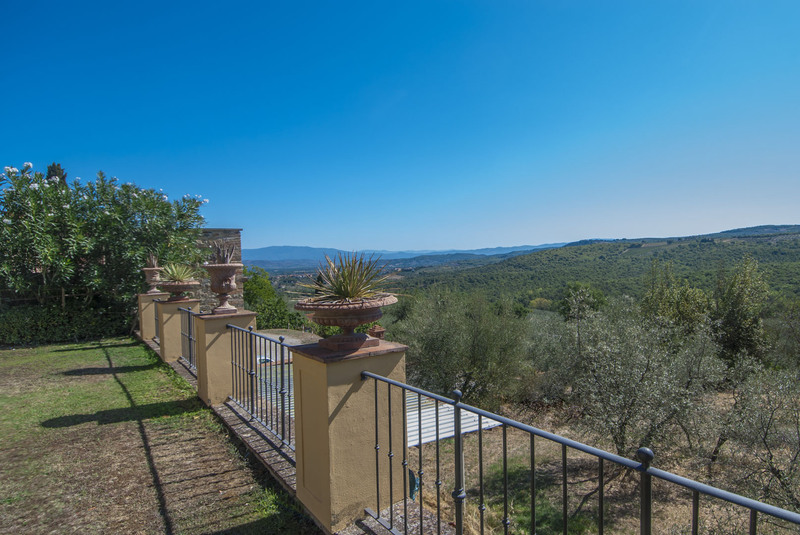 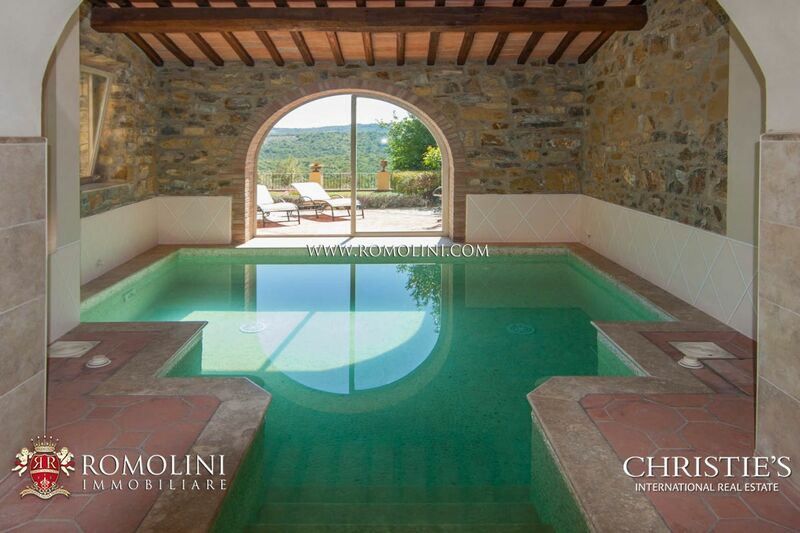 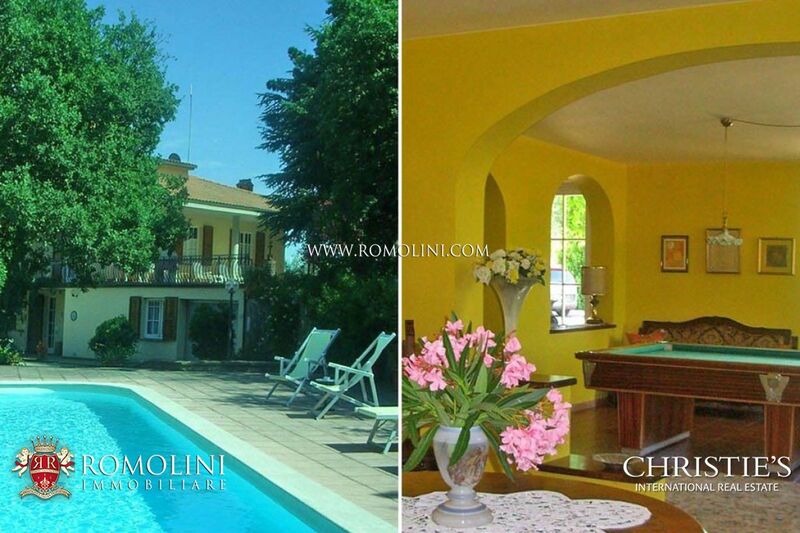 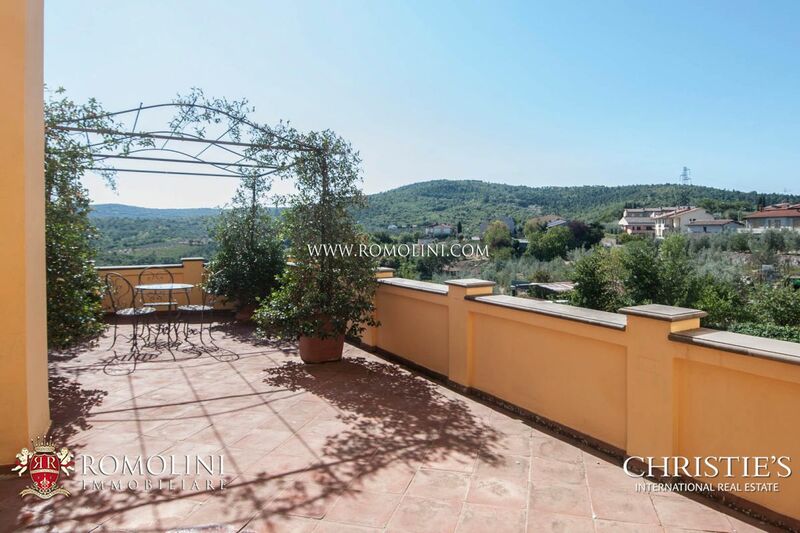 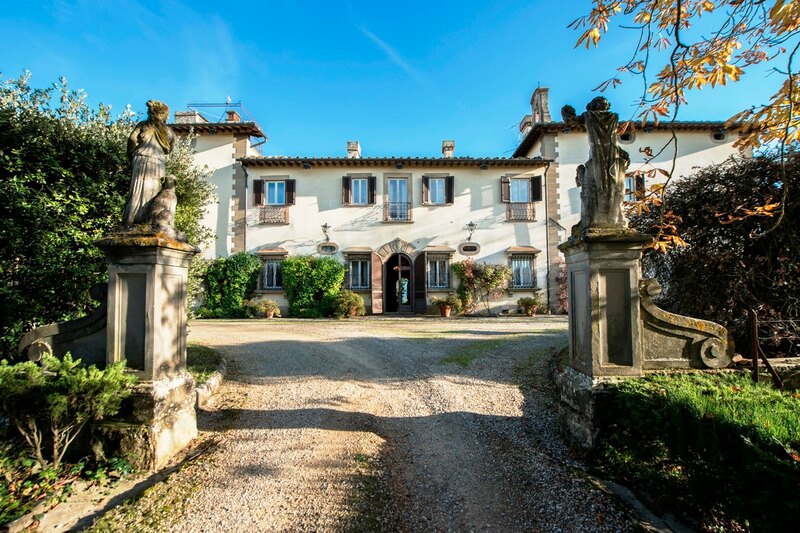 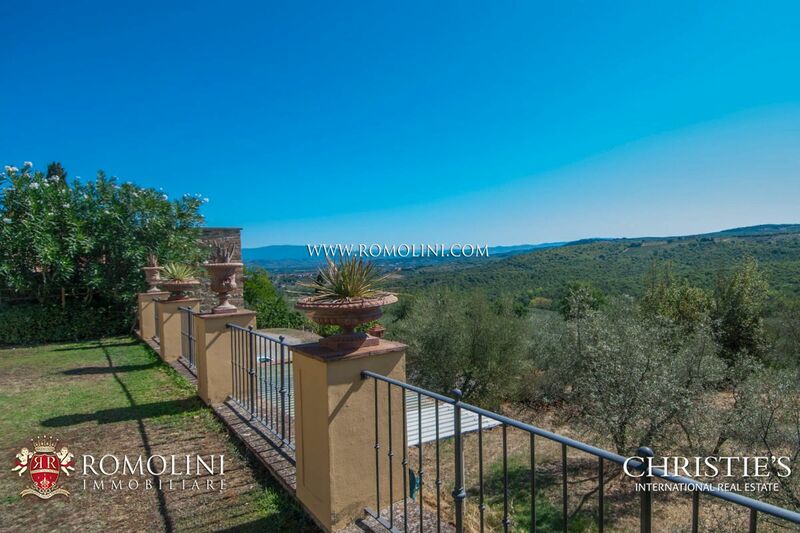 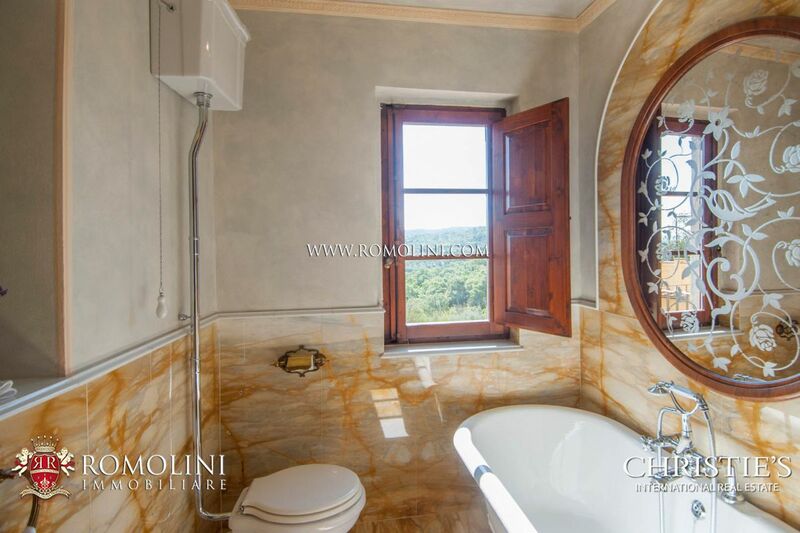 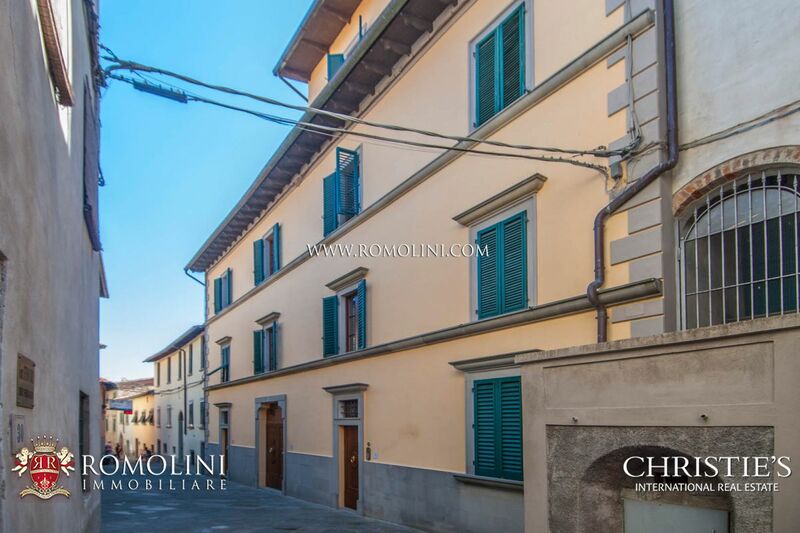 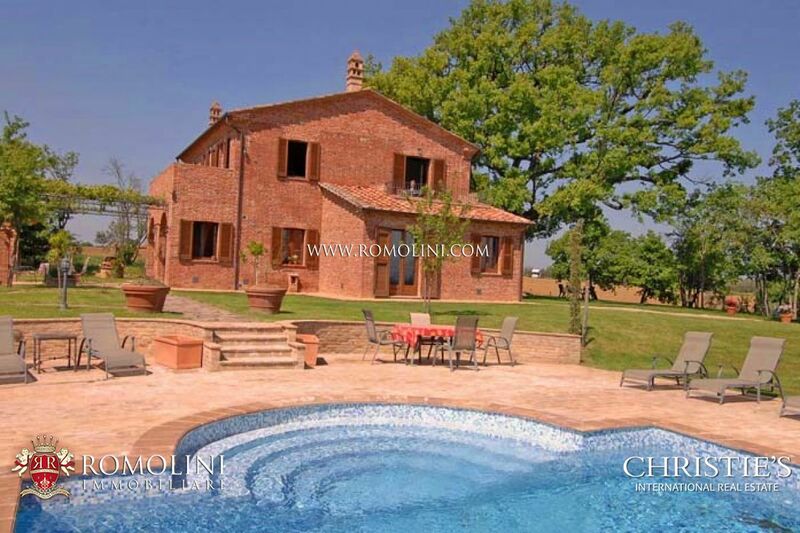 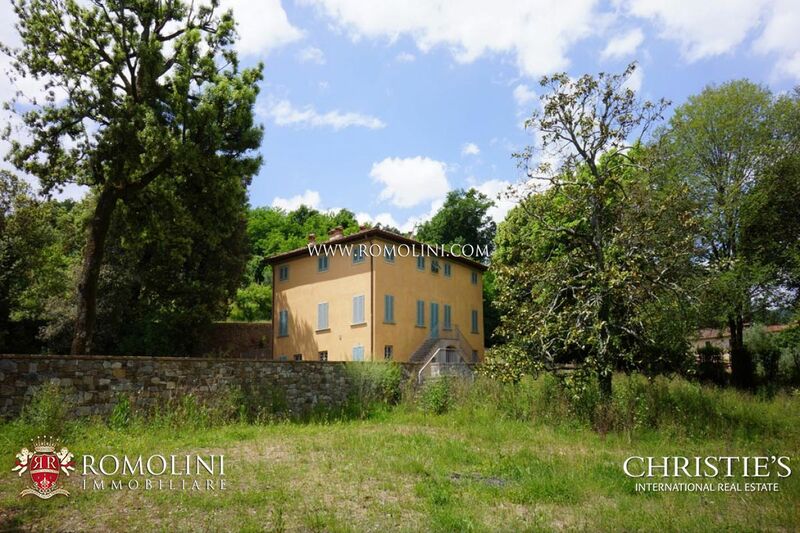 In a small hamlet of the Aretine Valdarno, in an extremely panoramic position, prestigious historic building with garden and fitness area. 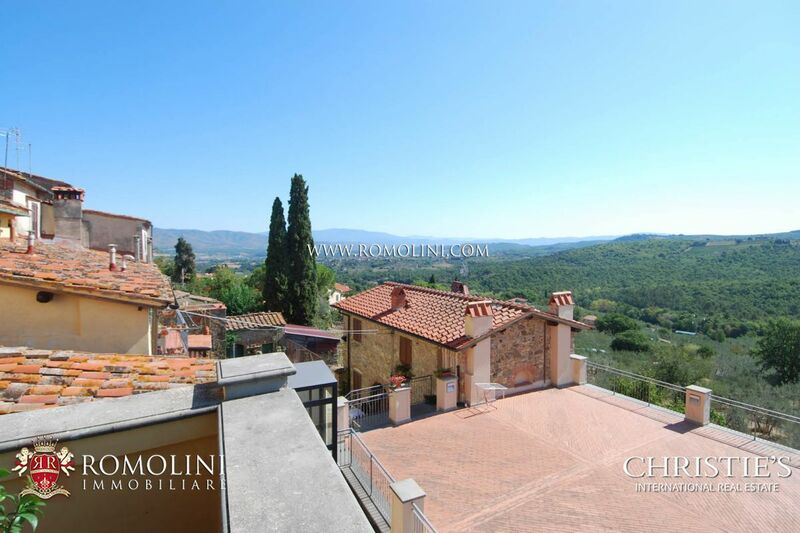 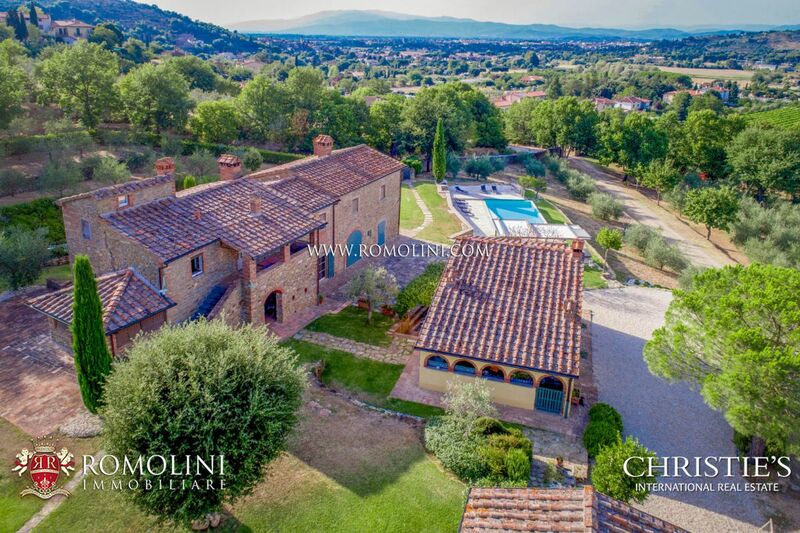 A short distance from all the necessary services, available in the town, this property is perfect if one is looking for a prestigious building granting a quick access to the most renowned cities of Tuscany: Arezzo (20km; 25’), the medieval Siena (45km; 50’), the Renaissance Florence (59km; 1h), the wine-cities of Montepulciano (62km; 1h) and Montalcino (77km; 1h 20’) and the papal Pienza (72km; 1h 10’). 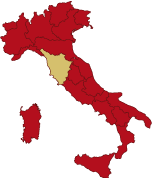 Closest airports to the property are Firenze Peretola (79km; 1h), Pisa Galilei (140km; 1h 45’), Bologna Marconi (161km; 1h 50’), Roma Ciampino (240km; 2h 30’) and Roma Fiumicino (255km; 2h 35’). 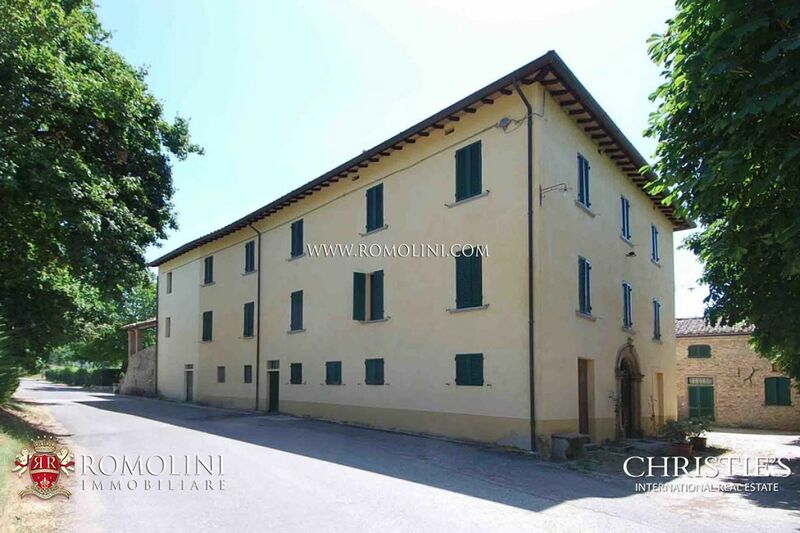 The historic building (920 sqm – 9,899 sqft) is laid out onto four floors organized as follows. 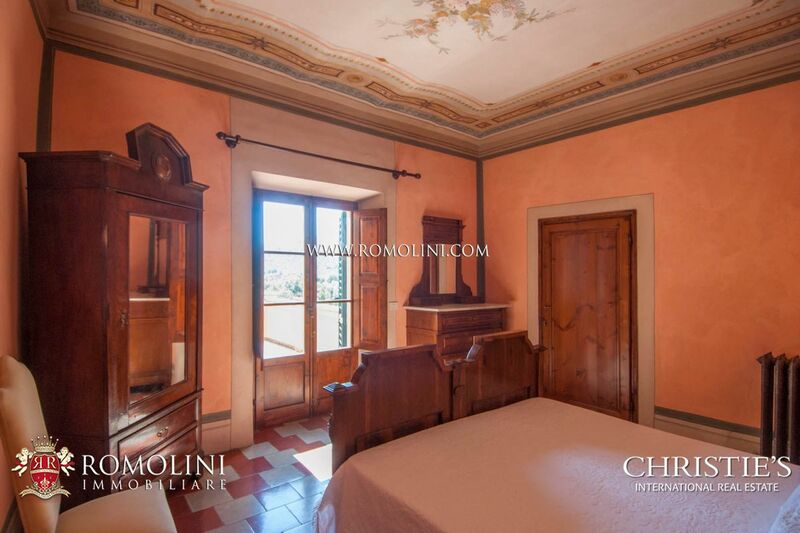 - Ground floor: entrance hall with door on the main road, studio with archive and French windows on the garden, 2 technical rooms, a corridor with exit on the garden, living room with fireplace and door on the main road, small room with staircase to the cellar, bedroom with access to the garden. 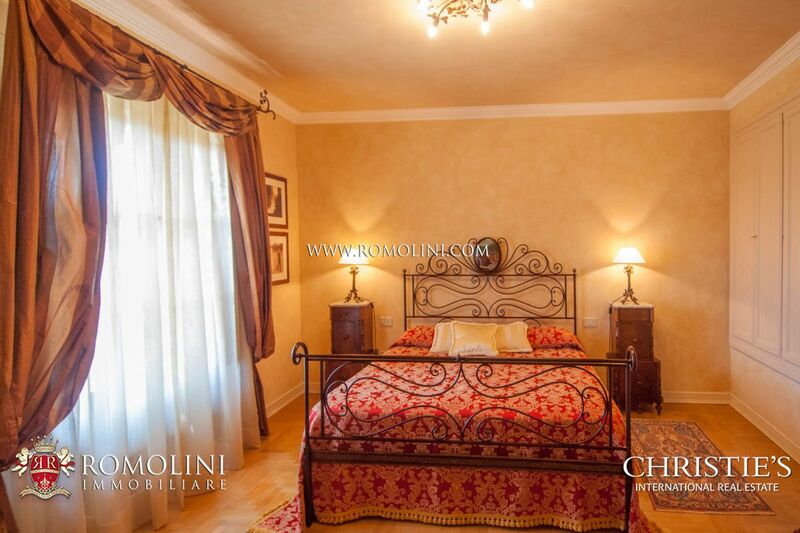 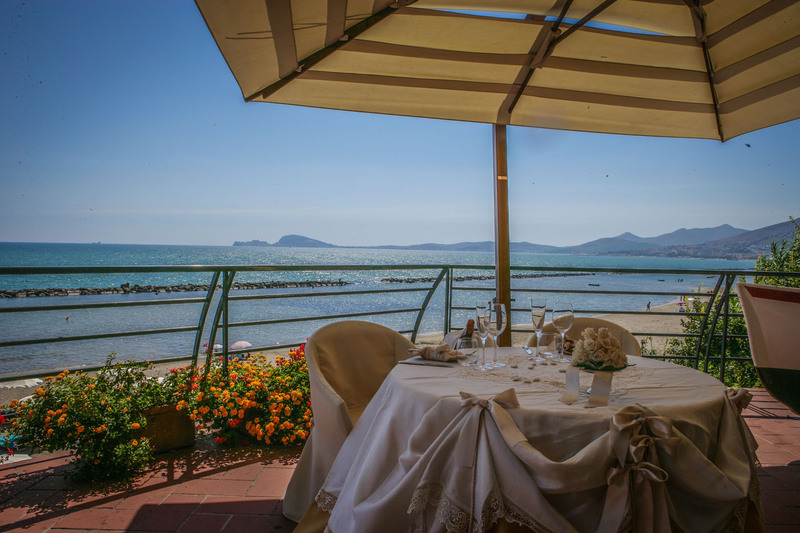 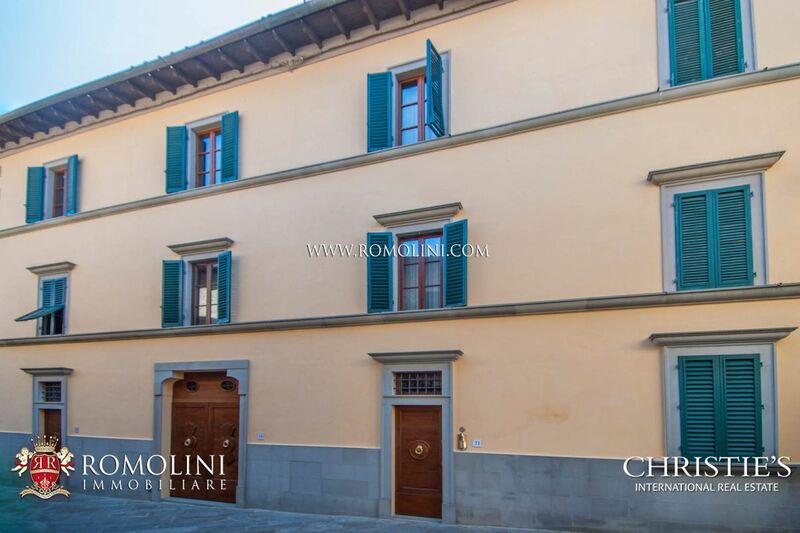 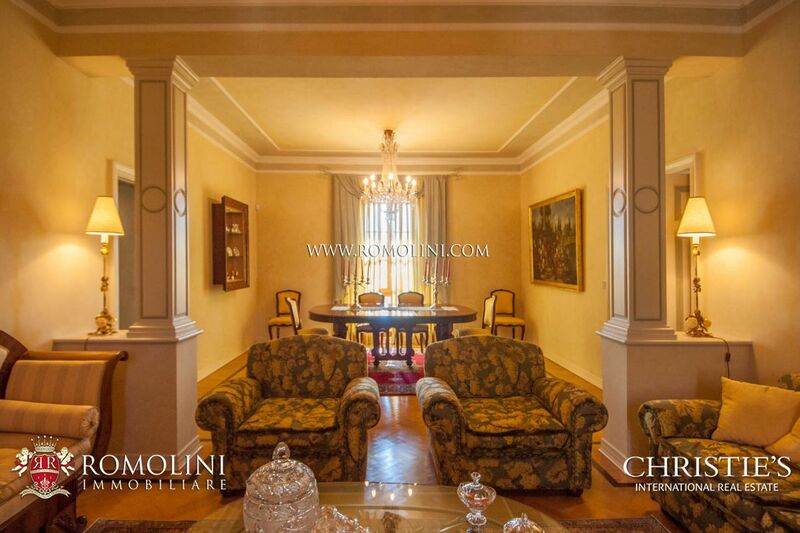 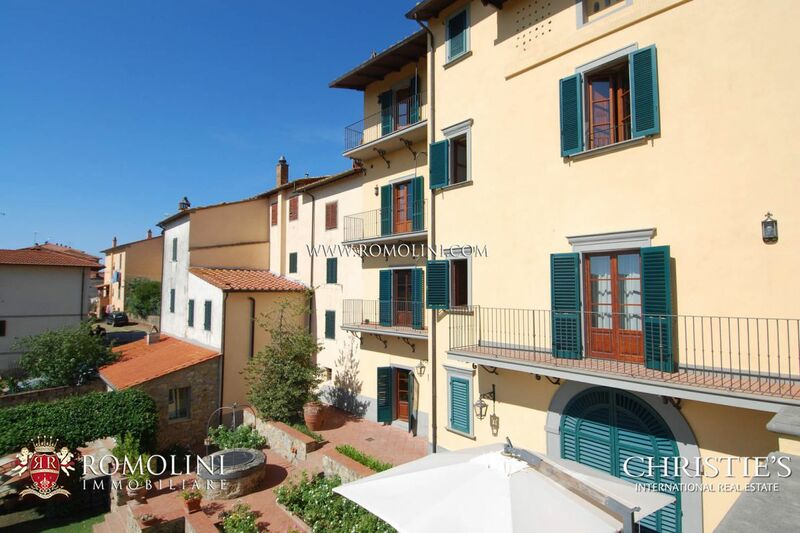 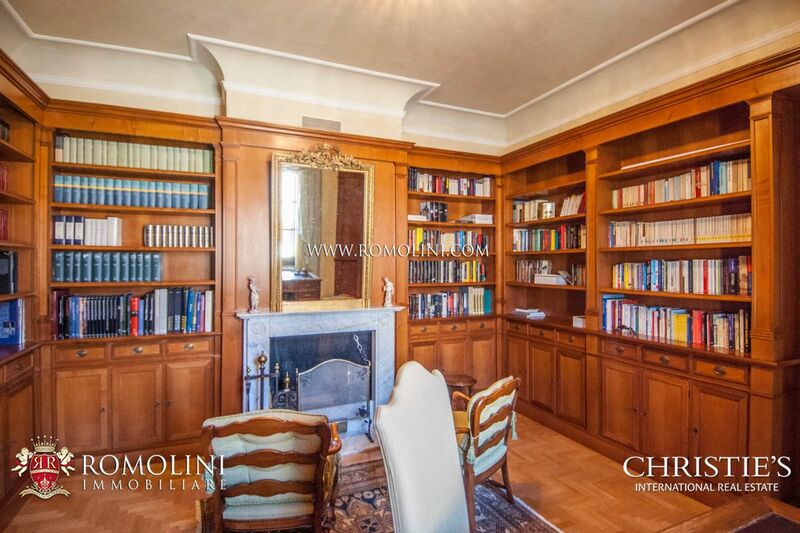 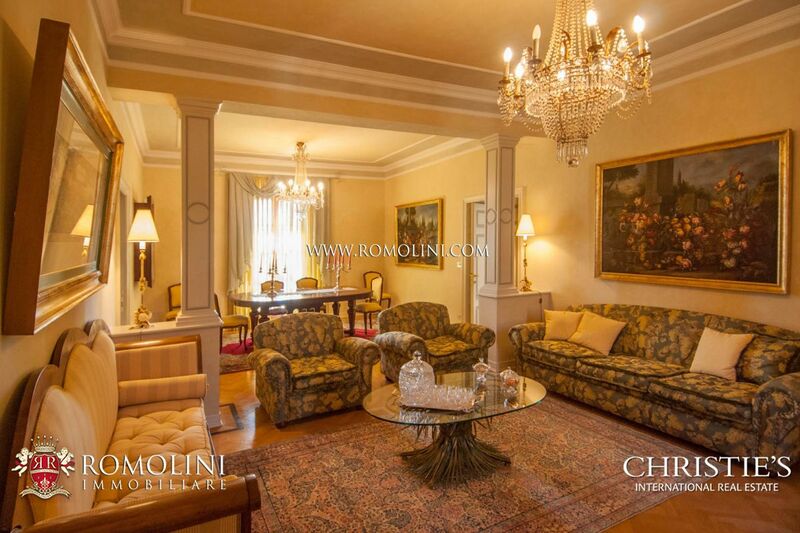 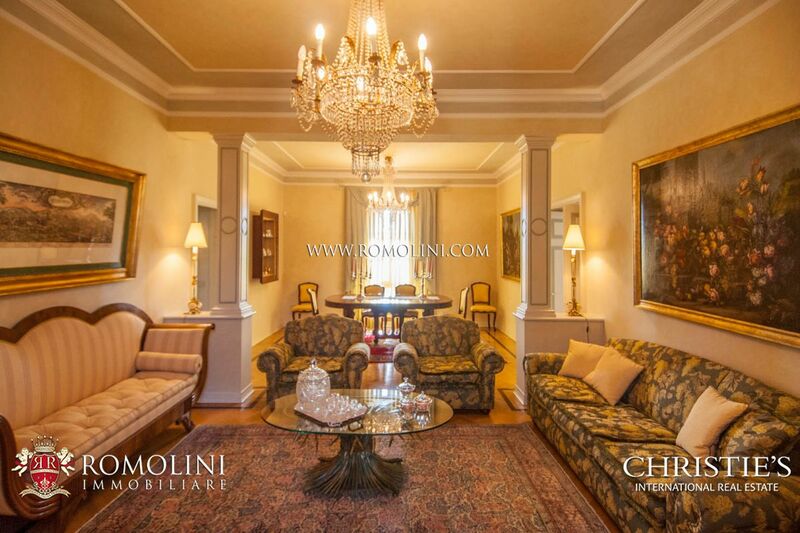 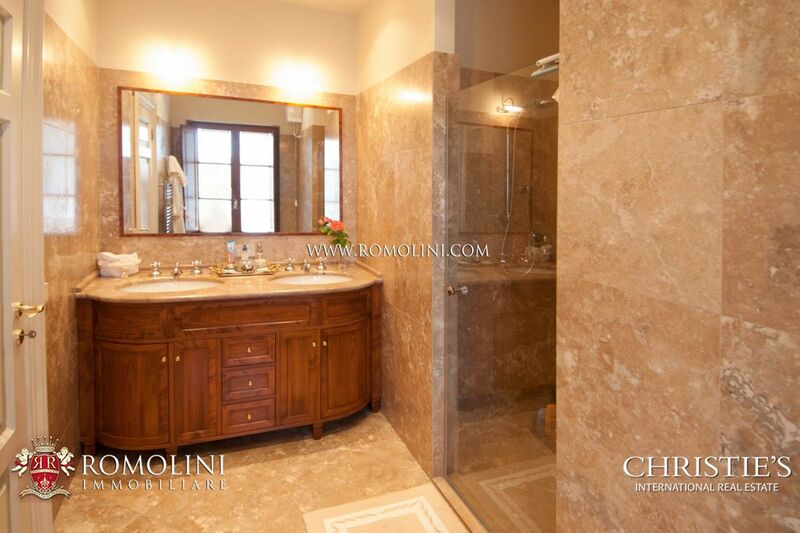 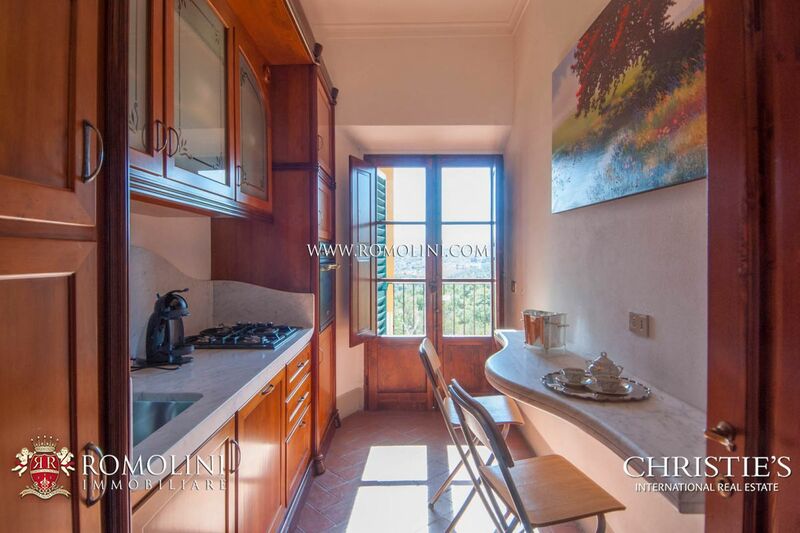 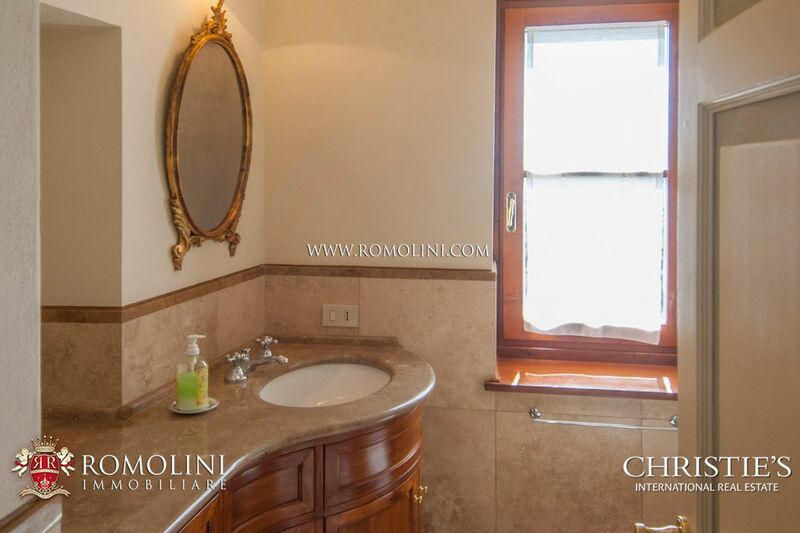 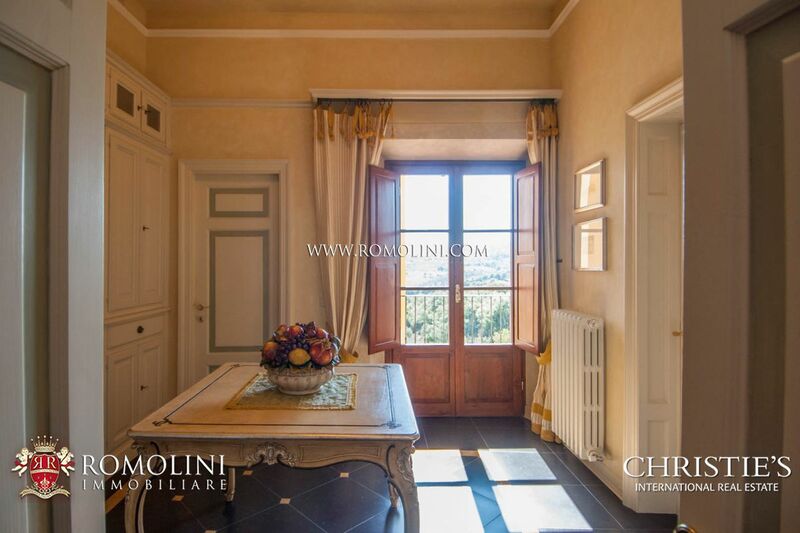 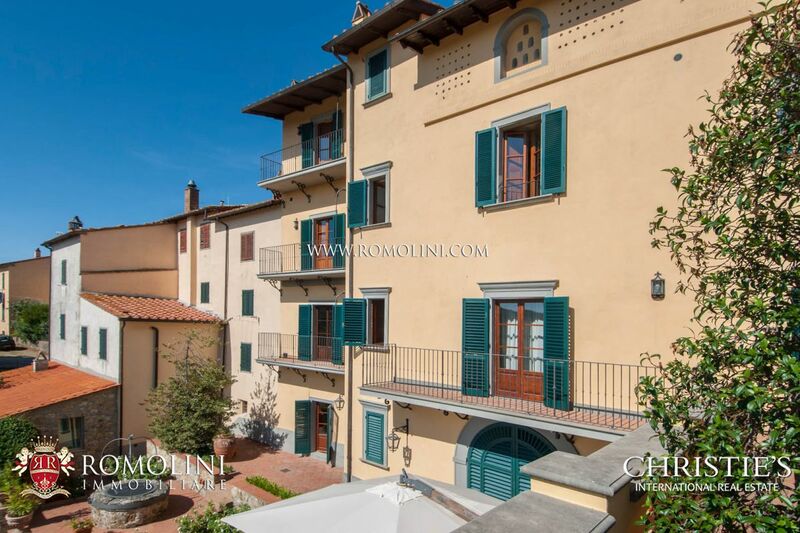 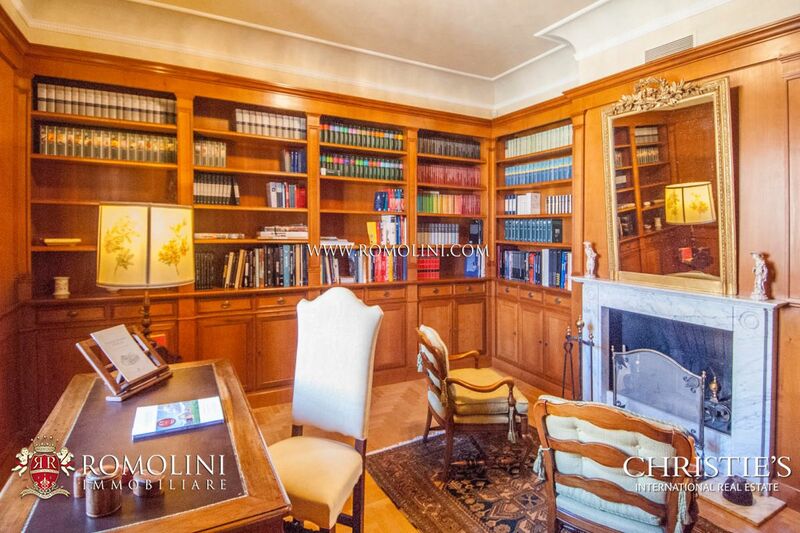 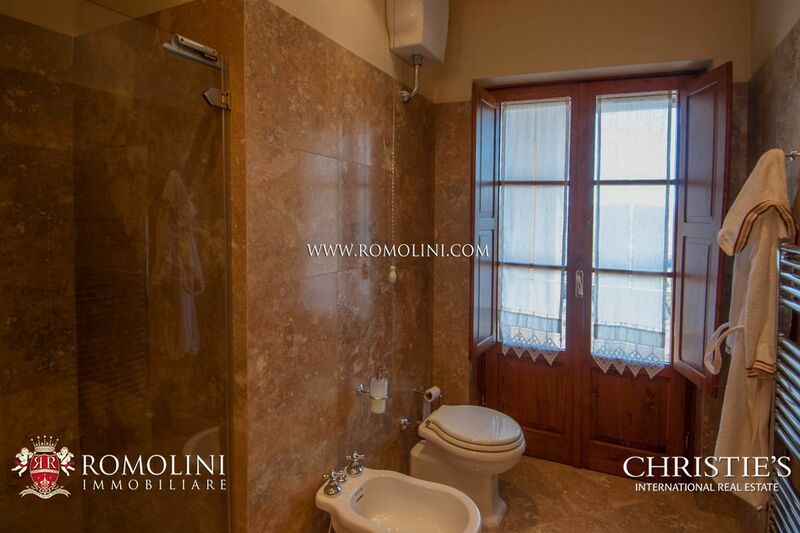 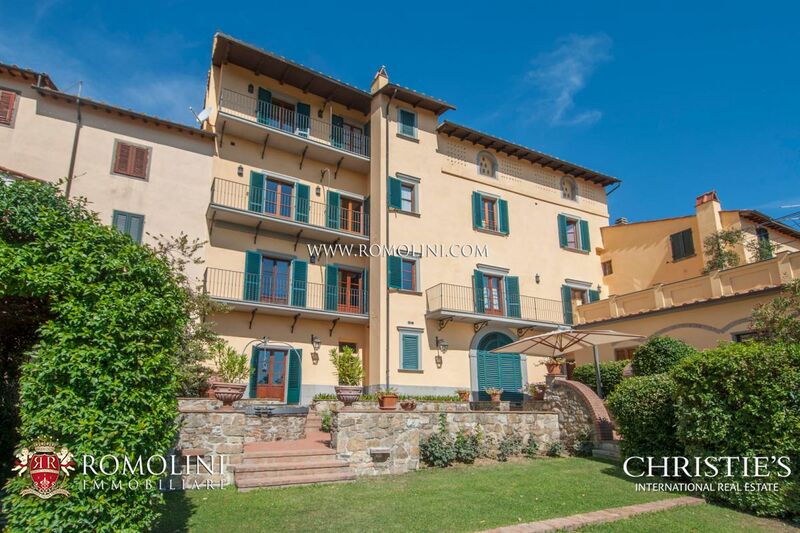 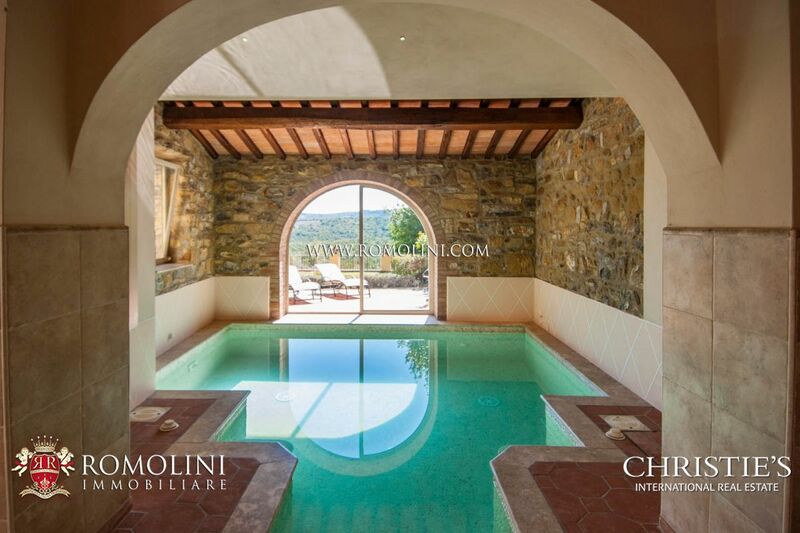 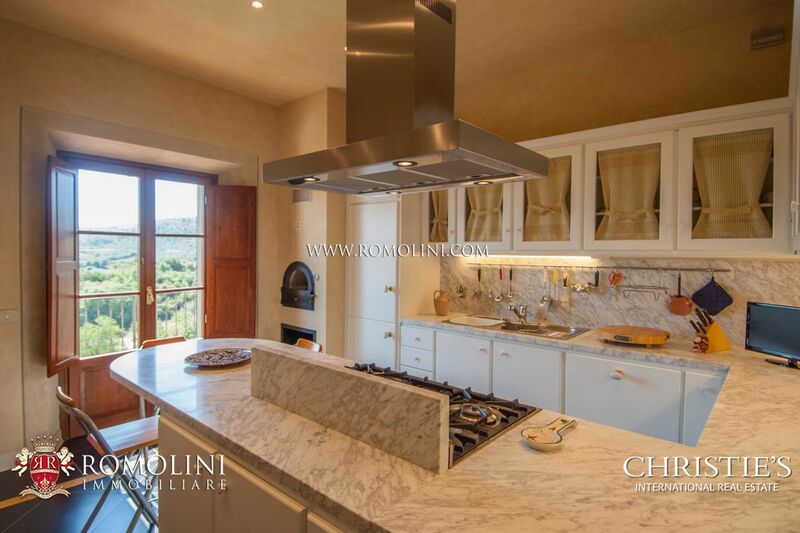 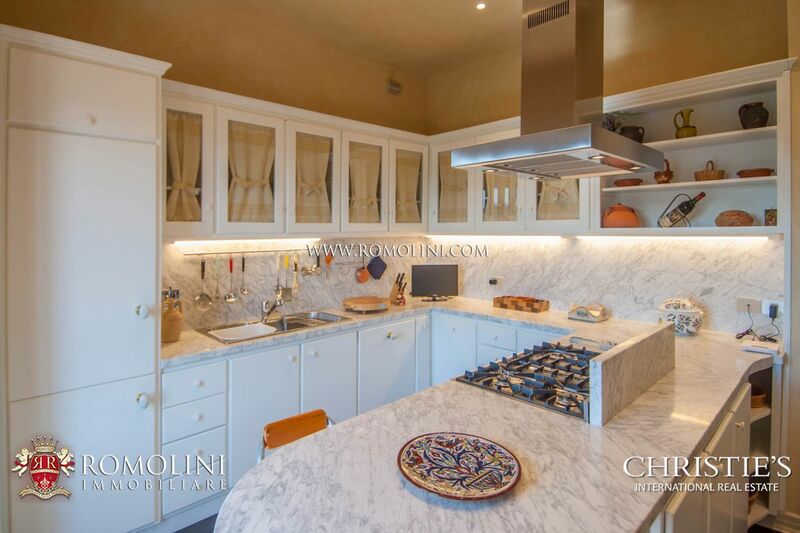 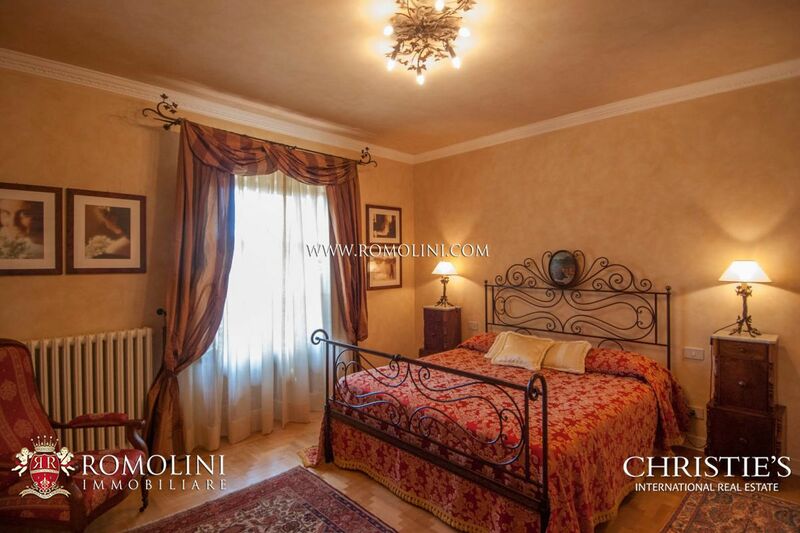 - First floor (piano nobile): entrance hall, living room with fireplace, kitchen, bathroom, living room, guest bedroom, master bedroom with terrace, two balconies with panoramic view. 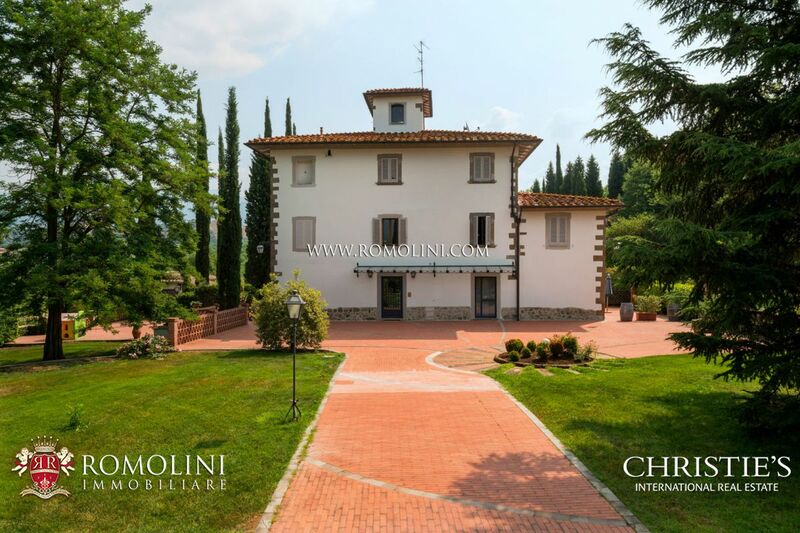 - Second floor: entrance hall, kitchen, office, living room with dining area, library with fireplace, bedroom with en-suite bathroom, small bathroom and panoramic balcony. 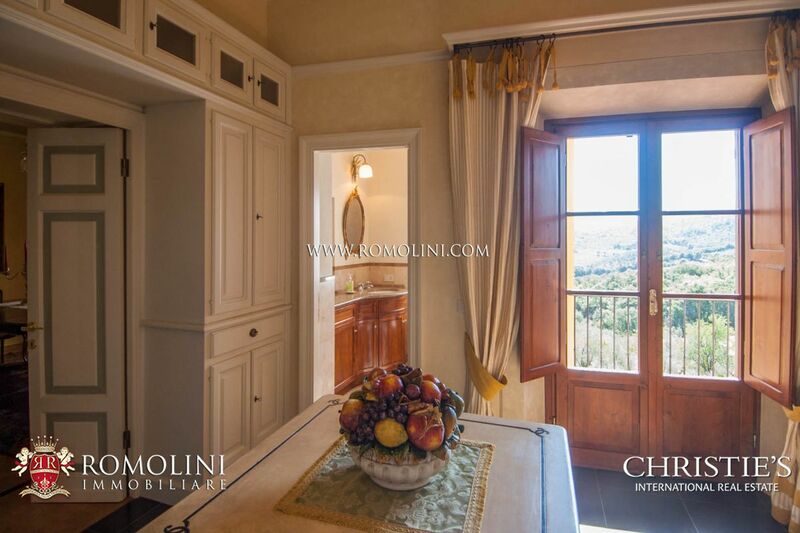 - Third floor: master bedroom with ample en-suite bathroom, closet, bedroom with en-suite bathroom and balcony with panoramic view. 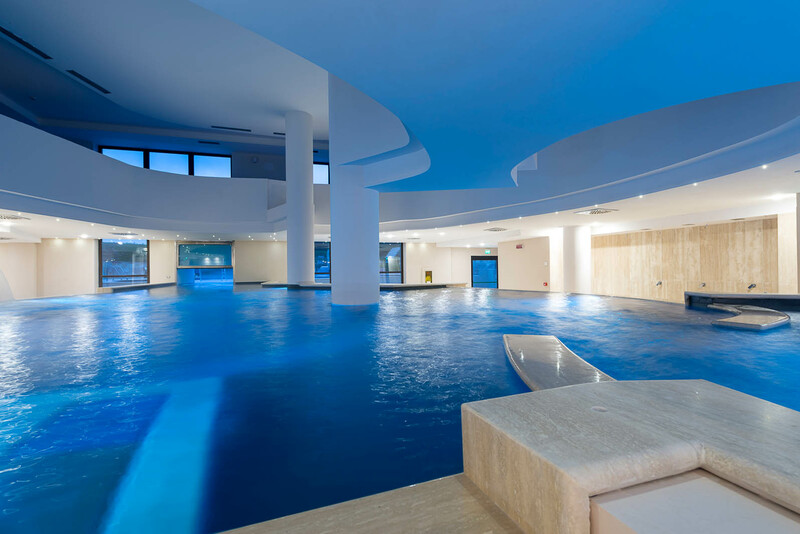 The old orangery (80 sqm – 861 sqft) has been converted into a fitness area with indoor heated pool fitted with whirlwind and counterflow swimming system, bathroom and technical rooms. 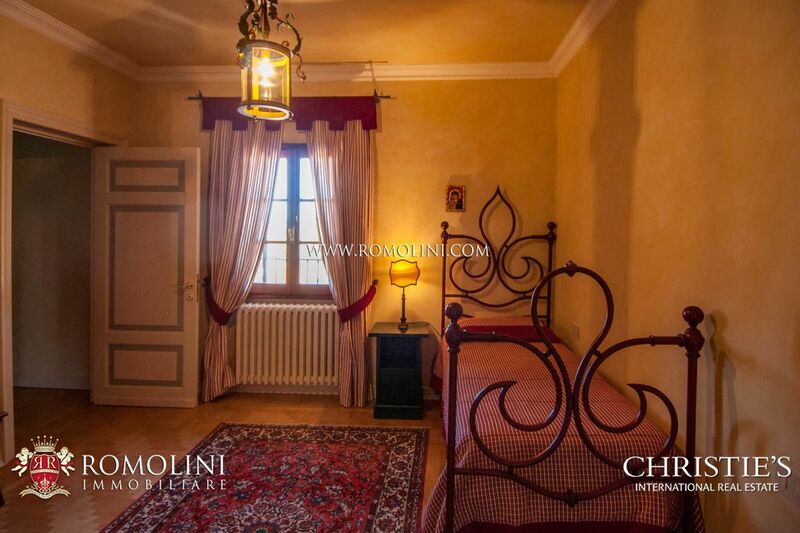 The original building dates back to the 17th century, with several enlargement realized in the 19th century, while in the cellar we can see some relics dating back to the Roman age. 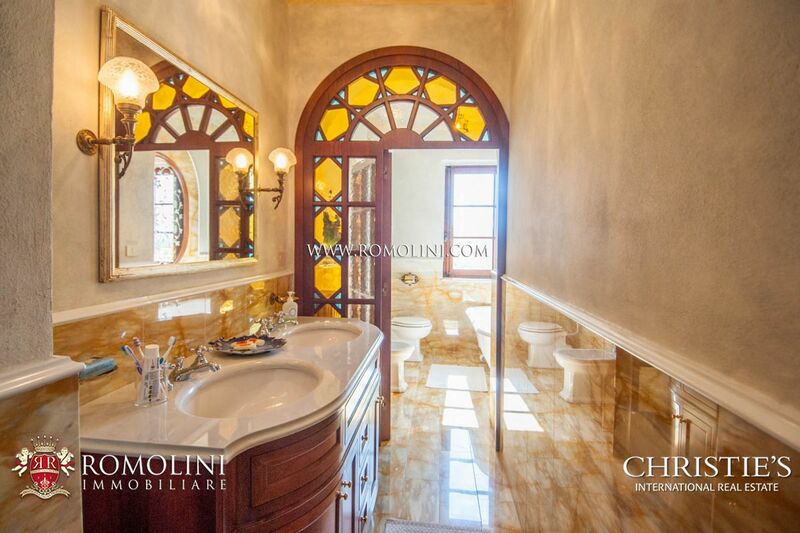 The property has been fully restored between 2002 and 2006, with great care towards historical and artistic details, trying to preserve the unique characteristics of the building. 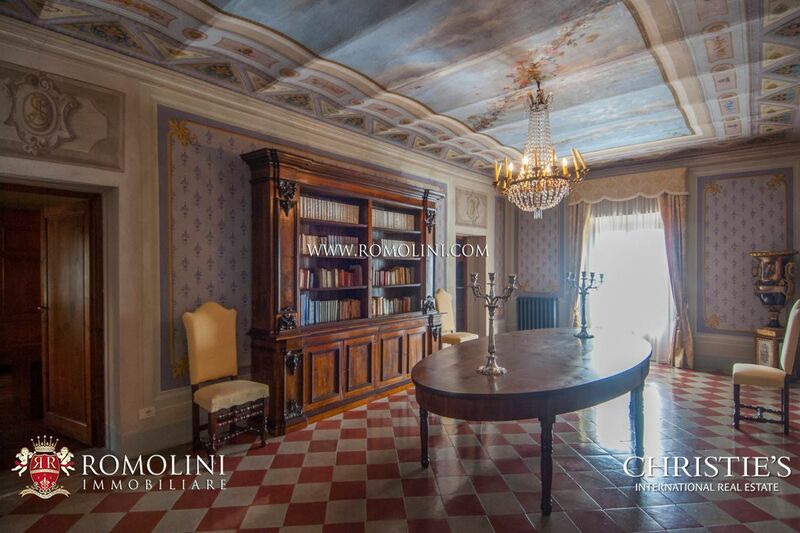 Works have been carried out to restore the painting to their original state, but using only natural pigments so not to lose their historical value. 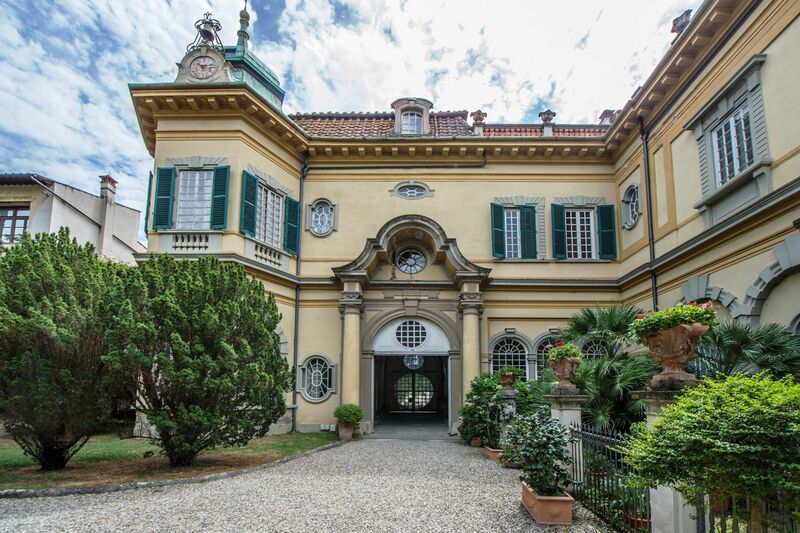 Other highly-valued materials have been used in the restoration, such as Carrara marble, yellow Siena marble, travertine and pietra serena. 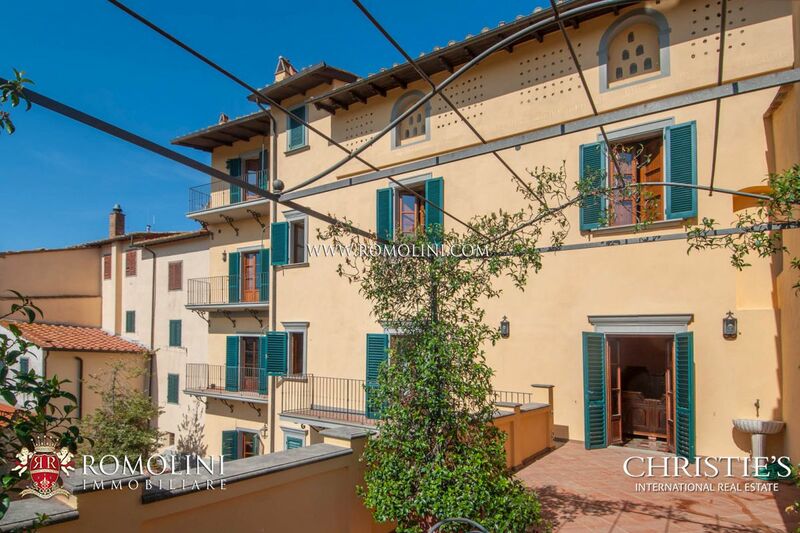 Wrought iron finishes completes the building, which was also thermally insulated with cork panels. 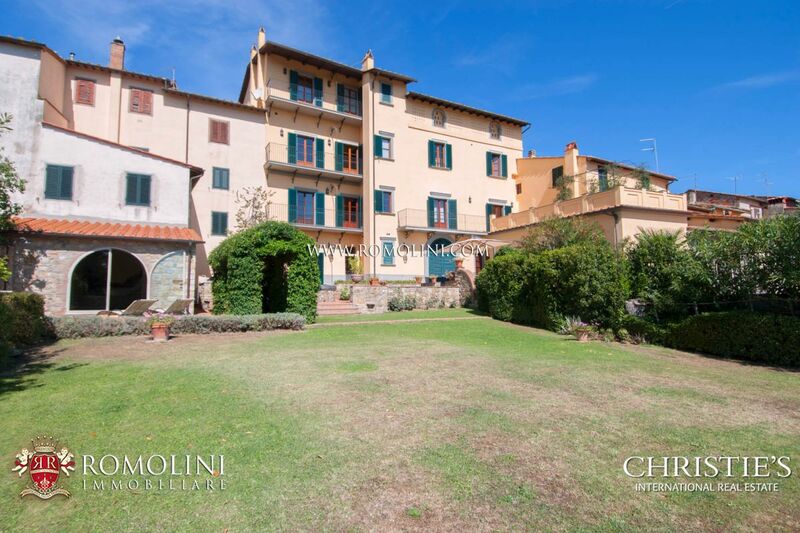 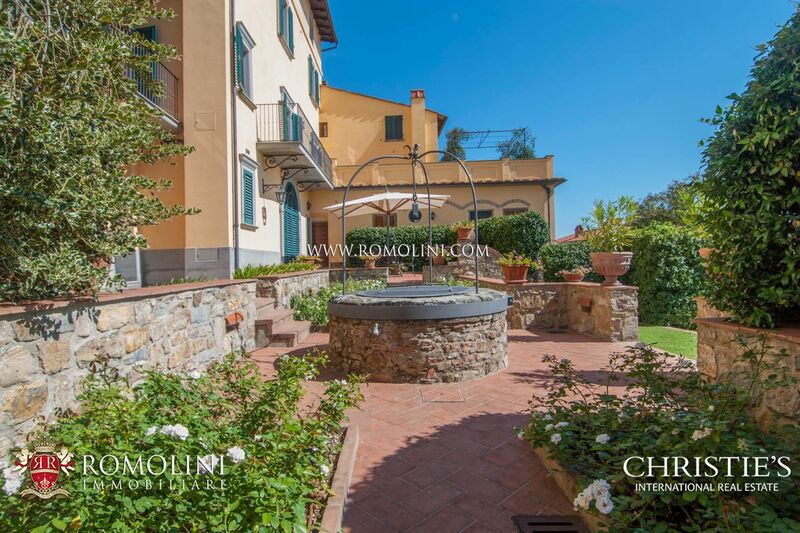 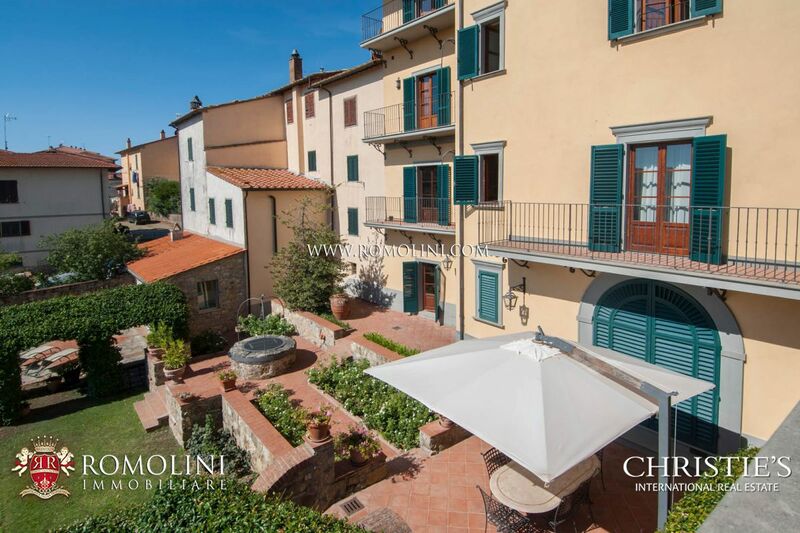 The building is fitted with a nice rear garden (500 sqm), decorated with handmade terracotta walkways, a fountain and a 17th century original well. 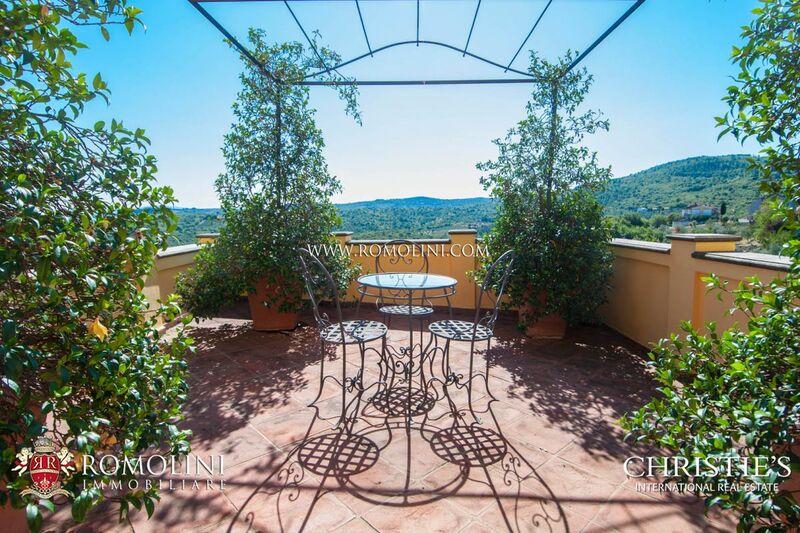 The garden is also equipped with a stone table and an umbrella which will allow a total relaxation. 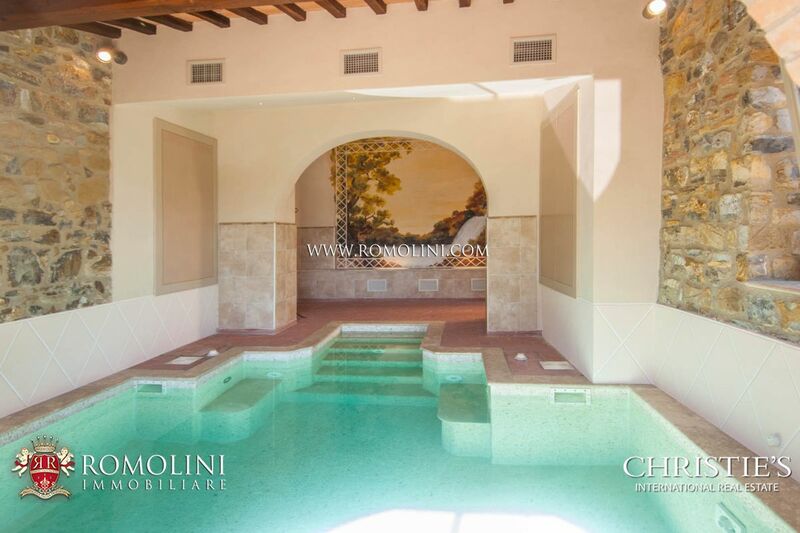 Just in front of the fitness area there is a solarium. 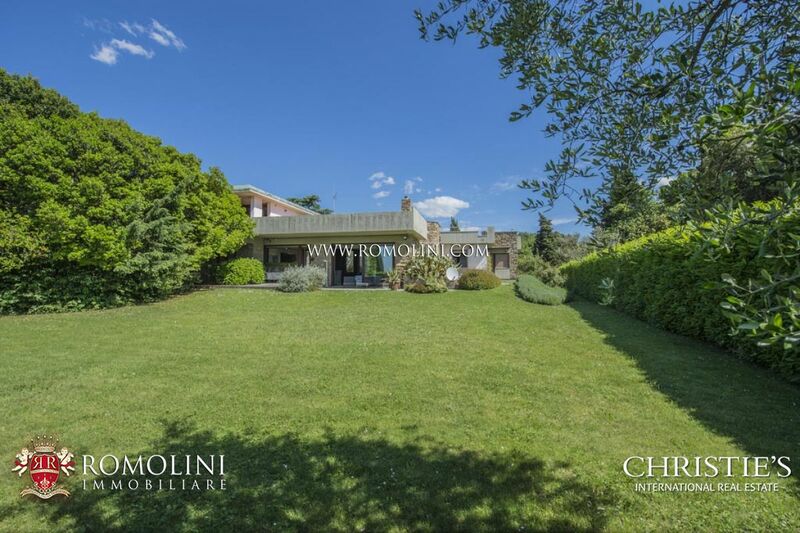 A small shed grants enough space for storing tools, while the garden has a secondary exit on the rear. 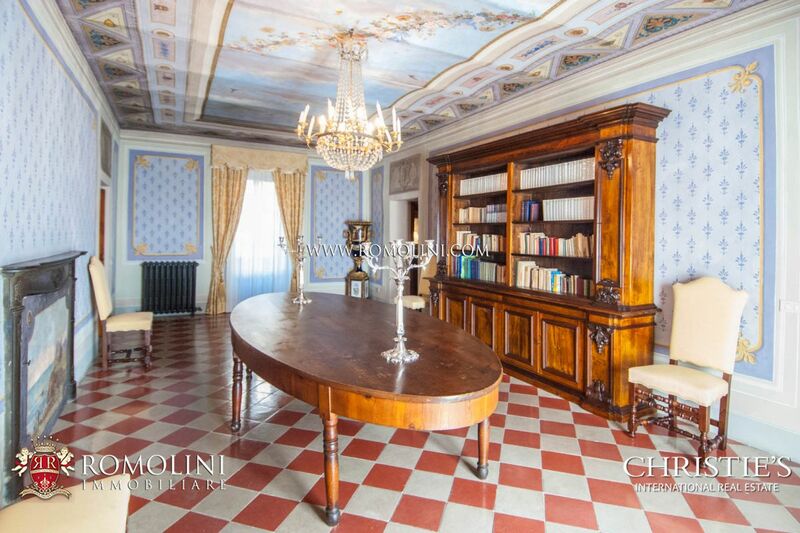 The property, thanks to its ample dimensions and its panoramic position inside the historic centre, is perfect as a hosting business, making it possible to keep one room for the owner while renting the other ones. 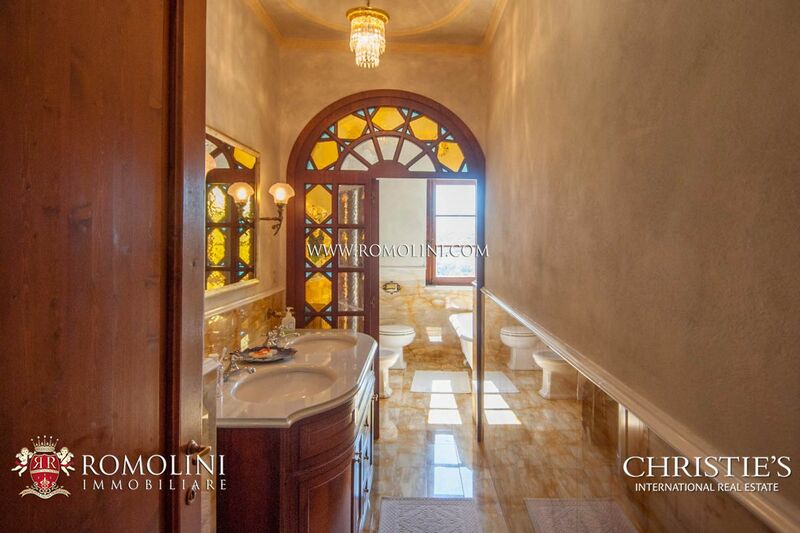 Alternatively, it is always possible to use the building as a private residence with free bedrooms for eventual guests.